Below are upcoming Divine Yoga workshops and events. For phone number, map, and directions, click CONTACT on the menu bar. 50% Off Any Divine Yoga Class Card June 2nd thru July 28th! 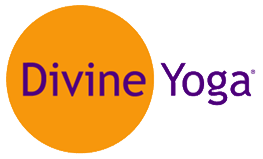 To Qualify: If you purchased a class card at full price after January 28th, 2019, you already qualify – if not, just purchase any Divine Yoga card at full price no later than July 28th to qualify. Only (1) 50% Off card per person. All classes on card must be taken by same person. 3 additional 50% Off cards may be purchased as gifts – 1 card per person. Vouchers/Certificates will be issued for gift purchases and for students with remaining classes on a full-price card. May not be combined with other offers. Drop-in and cards purchased through promos do not qualify. Only cards purchased at full price are eligible with one exception: cards purchased with senior, military or student discounts are still eligible. Senior/military/student discounts will not be applied. Only 50% will be taken off. All full-price card purchases may be made at the studio (cash, ck or cc) OR online at www.totallydivineyoga.com . 50% Off purchases are not available online and must be purchased at the studio. *Haven’t bought a full-price card yet? Make your purchase at the studio or click on the link below and purchase any one of our cards online! Remember, 50% Off purchases cannot be made online – only at the studio. For ALL Divine Yoga students! Suitable for beginners and students of all levels! Join Melanie for this mini-workshop, where we will discuss White Tantric Yoga®, the benefits of participating, and what to expect if you decide to attend the event in Austin in late February. We’ll also practice yoga and meditation as we explore the topic. This is different from the Gong Bath offered on Saturdays. 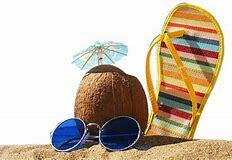 Although very relaxing, this workshop has added benefits. In this Gongshop we will be reorganizing the relationship with the 10 bodies. The 10 bodies are all your vehicles for sensing and functioning in the gross and subtle realms. In this workshop, as the 10 bodies adjust one may experience a sense of travel and projection. First, we will practice a 45 min. 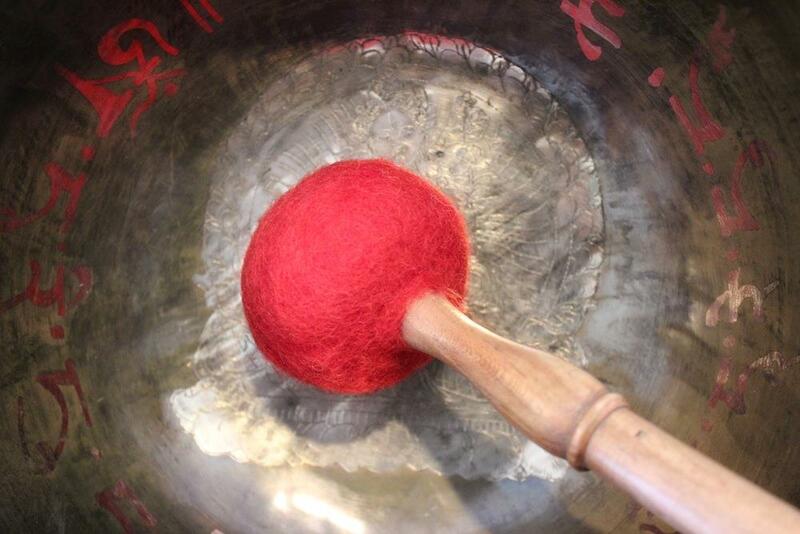 set given by Yogi Bhajan, Master of Kundalini Yoga, to prepare for the gong meditation and strengthen the nerves and give the experience of living in Truth. Then, we will do a special gong meditation with a simple focus and mudra (hand position) designed to project you in the realm of the saints and liberated beings. Join us for fun and self-healing at Divine Yoga! This yogashop is for ALL Divine Yoga students, beginners, intermediate, advanced, hard-core, experienced, newbys, curiosity seekers, knowers, questioners, the aware and unaware. In this workshop we will explore the psychological war of the mind and develop neutrality with the tools of Sat Nam Rasayan and the meditative mind. Whether you are dealing with weather, family, business, politics, different view points fought in the media or your own monkey mind . . . . this is a class for profound neutrality, relaxation and reducing reactions. You will experience tools to walk your life path with more ease, grace, confidence and fearlessness. We look forward to your presence in class. Sat Nam Rasayan is a system of healing and a state of consciousness in which all healing takes place. It is also a particular state of meditation in which the awareness of the practitioner becomes stable. When this occurs any healing can happen. This healing happens in the “sacred space” which is in the space of the meditative mind. Sat Nam Rasayan helps many suffering from emotional upheaval, depression, stress, anxiety, injuries, neck and back pain, accident trauma, sleeplessness, and a variety of illnesses such as aids and cancer. It is also used in connection with therapies including massage and physical therapy. **Check, cash and credit cards accepted. Pay and register online, at studio or call 210-828-4177 to pay via credit card “live” – if no answer, leave message and contact number and we will return your call asap. Hari Kirn, translation: “Ray of Light”. You deserve it! Treat yourself to a Pre-Christmas “Light & Bliss” support with a private healing session from Hari Kirn and Amrit! Fell free to sign up for multiple sessions and Feast Your Soul! These powerful yet soothing healing sessions will give you the support you need to realize your truth, and realize your goals and priorities. These sessions are designed to help you empower yourself to be centered and healthy – to be like the beautiful lotus flower that floats above the mud and the muck. It will be our honor to assist all of you – students, clients and friends. For 45 full minutes, come and enjoy a totally divine, safe space to clearly, reflect and heal or just slip into profound relaxation. removal of blocks and healing of traumas. About the healers: Amrit & Hari Kirn have a collective strength of 67 years of study, yoga practice and sadhana. They have studied Spirituality, Sat Nam Rasayan and Kundalini Yoga together in Texas, New Mexico, Florida, Italy and India with masters such as Guru Dev, Master of Sat Nam Rasayan and Yogi Bhajan, Master of Kundalini Yoga. Come laugh, cry, brainstorm or turn it over to the collective wisdom of Hari Kirn & Amrit. Take advantage of the reduced rate. Normally, the exchange is $150. Only $80 if pre-paid by April 8th or $108 after April 8th. Sessions will take place at the Office, 1607 W. Lawndale (it’s the yellow building w/ orange front door). AVAILABLE APPOINTMENTS: Friday, July 12th: 10am, 11am, 12pm, 3pm, 4pm, 5pm, 6pm, 7pm / Saturday, July 13th: 9am, 10am, 11am, 12pm, 2pm, 3pm, 4pm, 5pm, 6pm / Sunday, July 14th: 9am, 10am, 6pm. IMPORTANT! Always check here first for most recent appt. availability! Only pre-paid appointments are reserved. No refunds. “I was touched by the loving nature of it.” -M.J.
“My Healing Light & Bliss session with Amrit and Hari Kirn was profound on many levels. We identified deep seated emotional blocks and divine spiritual qualities that gave me insight and clarity. Their nurturing hands-on energetic work and supportive, wise counsel have set in place healing and union towards living a balanced and flourishing life. I feel blessed and eternally grateful for having had the opportunity to receive their healing light and bliss. – T.P. “Let me just say here and now that I could not have been more pleased with my session. You were a revelation and delight. You have some major juju in that tiny frame!” – S.R. For ALL our students including those who enjoy Meditation! Plan to come to this Special FREE Event! For ALL Divine Yoga students! Come for part or all of it! 5am – 7am, SUNDAY, April 21st! To protect the Crown Chakra at this very powerful time, please wear a head covering. 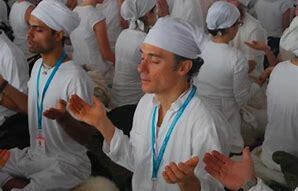 A white cotton head covering is preferred by most by Kundalini yogis but, a simple shawl, hood, scarf, cap, etc. is sufficient. 5am: Japji (Morning Prayer): recite or listen along with this prayer that is read aloud in Gurmukhi. Japji is called the “song of the soul” and celebrates connection to the Infinite. Sundays, 6 p.m. – 7:15 p.m.
For ALL Divine Yoga students. This Candlelight Meditation marks a shift in season and considered to be a big turning point of the year — a change in the weather as well as a shift in everybody’s lives. This is an especially good time to support each other and meditate together in a group. After yoga warm-ups, Mhan Rishi will lecture then, lead you in a special Meditation. Informative and engaging, in this class you will learn yogic techniques to gain understanding and ability to succeed in the age we are currently living in – the Aquarian Age. 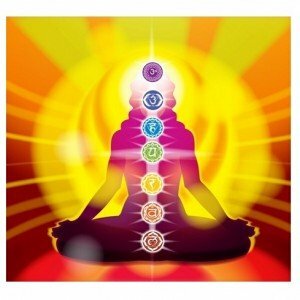 You will learn yoga and meditation for coping effectively with the ever increasing changes, unique challenges and fast pace of the times. Mhan Rishi is Co-Founder and Co-Director of Divine Yoga with Amrit. He began teaching Kundalini Yoga in 1976 in the Guru Ram Das Ashram on Magnolia Street in San Antonio. He was deeply involved in establishing and managing the ashram for about 7 years. He was there through it’s move to McKinley Street until 1981. He is KRI certified, licensed and registered with Yoga Alliance. He has taught yoga classes and workshops nationally in Chicago, The University of Wisconsin, Texas and the Midwest. Mhan Rishi learned at the feet of Yogi Bhajan, Master of Kundalini Yoga and traveled to India on numerous yatras with Yogi Bhajan to the Golden Temple, the River Ravi and other sacred places. 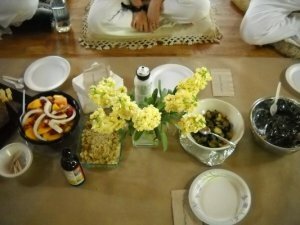 Mhan Rishi brings about 40 years of wisdom and experience in Kundalini Yoga to this Special Class. NO CHARGE! 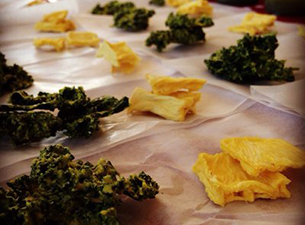 Just bring a vegetarian dish! DO YOGA, MEDITATE, REGENERATE, HEAL, RELAX, EAT, SOCIALIZE!